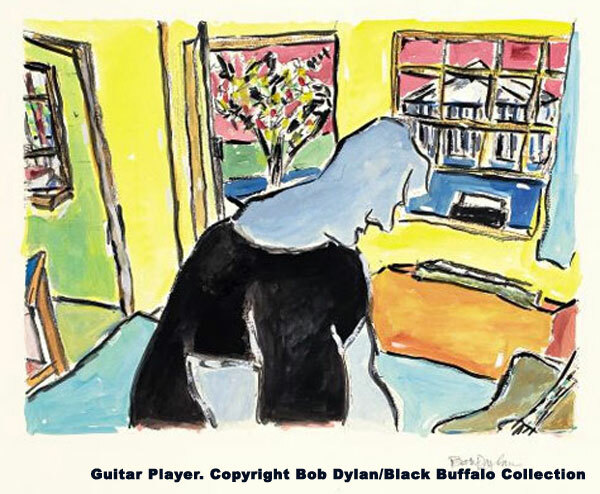 As the Bob Dylan magazine ISIS reports in its latest issue, there will be an exhibition of original paintings and limited edition prints by Bob Dylan from 14 June 2008. The exhibition will include new, previously unseen works. It will take place at London's Halcyon Gallery in Mayfair, one of Europe's leading galleries for contemporary art in its 25th anniversary. Bob Dylan's interest in painting was probably influenced by artist Suze Rotolo, Bob's girlfriend in the early 1960s. Examples of his early works can be found on the covers of his albums of "Self Portrait" (1970) and "Planet Waves" (1974), but only recently he agreed to a very first official exhibition at the Kunstsammlungen Chemnitz (Chemnitz Art Gallery) in Germany from October 2007 until February 2008, entitled "The Drawn Blank Series Watercolor and Gouache Paintings Exhibition". The initial idea for that came from a book of drawings and sketches done by Dylan from 1989 to 1992, which had been published under the title "Drawn Blank" by Random House in 1994. You can read the official press release by Columbia Records here, or take a look at some of the paintings on this page of the Guardian website.